Cambridge Colocation Hosting | Netservers Ltd.
From our Cambridge Datacentre, Netservers run our own diversely routed BGP network into our core London network PoPs in Telehouse East, Digital Realty Meridian Gate and Equinix Harbour Exchange. Over this network we can offer Dedicated Server, Virtual Private Servers (VPS) and co-location hosting at all sites. However, our newly upgraded Cambridge facility offers a number of advantages such as lower costs, locality and a high level of on-site support. 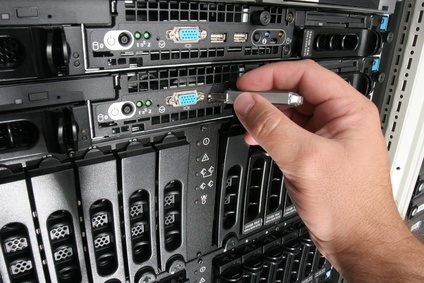 Since 1998 Netservers have offered a server colocation service at our Cambridge facility. This service began with a single server we were asked to put online by one of our regular customers. Although never promoted in it own right, between 1998 and 2009 this service continued to grow and has been very successful. Prior to our expansion in 2010, the growth of this facility had been constrained by a lack of available floor space. In February 2010 Netservers purchased two additional buildings adjacent to our existing offices. These buildings were acquired specifically to enhance and extend our Cambridge colocation facility. With the additional floor space and power that is now available, we are now in a position to provide a much improved service which offers an overall increase in specification and greater resilience. We are also able to offer our customers with technical assistance designing and building resilient systems and disaster recovery services. We can provide Cambridge and London businesses with their own dedicated circuit from their office into our Cambridge datacenter giving them direct access to their servers, high-speed Internet connectivity and managed private networks. Please see our price list or contact us to discuss your requirements. We are also happy to accommodate 3rd party telco circuits for customers who wish to bring in their own connectivity into their racks. The site is currently on-net for fibre from SSE Telecom, Virgin Media and BT Openreach.